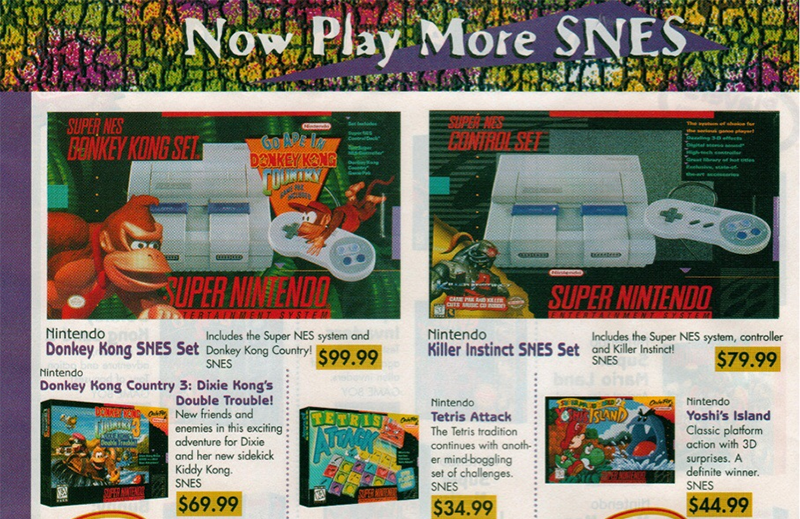 Not just a Super Nintendo system, but a system bundled with Killer Instinct, as seen in this ancient Electronics Boutique ad from back in 1996 posted by Redditor sketchbreaker. Of course we were in the tail end of the Super Nintendo’s run by the time Donkey Kong Country 3 arrived in November of 1996. After a relatively short five years in North America (the Super Nintendo hit here in ‘91, a year after its 1990 Japanese debut). The Nintendo 64 had been released in North America back in September of 96, so it makes sense its predecessor’s price been down pretty low. Two Tetris games (one with more shapes!? ), two Donkey Kong Countrys (one bundled with a system), four Mario games (well, three games and a mouse-based creativity tool), Killer Instinct, Super Star Wars, Sim City and my favorite Zelda game. No wonder I didn’t get a Nintendo 64 for a couple more years. To contact the author of this post try using an old rotary phone, as he is really ancient. You can also email fahey@kotaku.com or find him on Twitter@bunnyspatial.